Over the last three years, SBA has provided small businesses owners and entrepreneurs with the tools they need to not only survive, but thrive in tough economic times. Today, we’re seeing commercial markets improve, but we know gaps still remain, especially in underserved communities. That's why SBA recently formalized a partnership with the U.S. Black Chamber, Inc. to build on our efforts to support underserved communities that have been hit hard by the recession. Learn more about the partnership in this post from Deputy Administrator Marie Johns. Local street fairs are a great place to attract new customers for your local business. In this video, Carmen Sognonvi shares her list of 7 do’s and don’ts when it comes to marketing your business at a street fair. The U.S. Small Business Administration (SBA) has launched a new program in partnership with the Department of Veterans Affairs and the Defense Department to train transitioning servicemembers and veterans to help them become entrepreneurs and create jobs. The national initiative, called Operation Boots to Business: From Service to Startup, will be piloted first with the U.S. Marine Corps in four locations, at Quantico, VA.; Cherry Point, NC; Camp Pendleton, CA. ; and Twenty-Nine Palms, CA. It will later be expanded nationwide during fiscal year 2013 to service members from all military branches. If you are new to freelancing or thinking of becoming a freelancer, you’ll no doubt have lots of questions, especially about the legal and regulatory paperwork you need to obtain and manage throughout the business year. Freelancing, particularly if you are unincorporated, is one of the least paperwork-intensive forms of business ownership. Nevertheless, you are still a business and you need to be sure you have the right licenses or permits, make estimated tax payments on time, report your earnings each year, and deal with client paperwork such as contracts, non-disclosure agreements, and more. To help you stay on top of your obligations, here’s a breakdown of key legal and regulatory processes, plus important “business-ready” documentation you’ll need when dealing with new clients. The U.S. Patent & Trademark Office operates the STOP Hotline, a "one-stop shop to help businesses protect their intellectual property at home and abroad." STOP stands for Strategy for Targeting Organized Piracy, and "gives businesses the information they need to leverage the resources of the U.S. Government to lock down and enforce their trademarks, patents and copyrights overseas, both in individual countries and in multiple countries through international treaties." Elsewhere on this website is another page that provides information on registering your intellectual property in other countries or treaty areas (such as China, the European Union, India, Russia, and others). Pretty handy if you plan on doing business within another country. A previous post with information on how to protect your intellectual property is here. Odesk is an online service that links contractors with clients. Contractor services fall under a number of categories including: web development, software development, networking and information systems, writing and translation, administrative support, design and multimedia, customer service, sales and marketing, and other business services. I used to think that consumers and businesses have come to identify any sort of direct marketing as one form of spam or another. I used to think it was all pretty much ineffective. Today, I decided that's not the case. If you can make a genuine connection with a human being, then a transaction is at least possible. But if you're employing copy-and-paste marketing, forget it. Every good businessperson knows the importance of building quality relationships. But I'm surprised at how often people don't give the same thought to the "quality" with which those relationships end, and the possible ways in which a bad breakup can come back to haunt them. Most business relationships don't last forever; employees move on, customers come and go, suppliers are replaced. But what goes around does indeed come around, and paths can cross again, particularly within the same industry or in small communities. WASHINGTON – The U.S. Small Business Administration is seeking comment on three proposed rules published today in The Federal Register that would revise the size definitions for small businesses in the Utilities; Construction; and Arts, Entertainment and Recreation sectors. The proposed revisions reflect changes in marketplace conditions. The proposed rule for the Utilities sector will revise the size standard for nine industries. The rule proposes changing six of the industries dealing with electric power generation, distribution and transmission from revenue-based size standards to an employee based size standard of 500 employees. It would also increase the size standards for the remaining three industries in the Utilities sector from $7 million to $25.5 million for water supply and irrigation systems, $7 million to $19 million for sewage treatment facilities, and $12.5 million to $14 million for steam and air conditioning supply. SBA estimates as many as 400 additional firms in this sector would become eligible for SBA programs as a result of these revisions. SBA also proposed increases in size standards for one industry and one sub-industry in the Construction sector. Specifically, SBA proposed to increase the size standard for Land Subdivision from $7 million to $25 million and from $20 million to $30 million for businesses engaged in Dredging and Surface Cleanup activities. SBA estimates that more than 400 additional firms will become eligible for SBA’s programs and services, if adopted. The SBA’s third proposed rule would increase the small business size standards for 17 industries in the Arts, Entertainment and Recreation sector. As many as 1,450 additional firms could become eligible for SBA’s programs and services if the proposed increases are adopted. You may also mail comments to Khem R. Sharma, Chief, Size Standards Division, 409 3rd St., SW, Mail Code 6530, Washington, DC 20416. 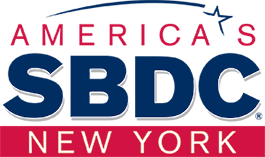 As part of an ongoing review of all size standards, the SBA takes into account the structural characteristics within individual industries, including average firm size, the degree of competition, and federal government contracting trends to ensure that small business size definitions reflect current economic conditions within those industries. Under provisions in the Small Business Jobs Act of 2010, SBA will continue its comprehensive review of all size standards for the next several years. The revisions to the size standards in these sectors will enable more small businesses to retain their small business status; will give federal agencies a larger pool of small businesses to choose from for small business procurement opportunities and help eligible small businesses benefit from SBA’s loan programs. An SBA-issued White Paper entitled, “Size Standards Methodology”, which explains how the SBA establishes, reviews and modifies its receipts-based and employee-based small business size standards, and for more information about SBA’s revisions to its small business size standards, click on “What’s New with Size Standards” on SBA’s Web site. This report is an update to Advocacy’s annual publication that provides information on the lending activities of depository institutions in the United States. The U.S. economy continued to recover and improved moderately during the second half of 2011 as some economic indicators turned upward. Financial market conditions were to some extent supportive of economic growth, but the credit supply for smaller firms remained tighter than for larger firms relative to historic norms. The Department of Taxation and Finance’s purpose in conducting an audit is to verify that you paid the correct tax. During the audit, you may be required to provide the auditor with whatever records are necessary to verify the information you provided on your return. Depending on the type of return being audited, this may entail a review of your income, receipts, expenses, credits, and other business records. The Community Based Business Incubator Center TM is pleased to note that the article Focus of Economic Development for Upstate NY Needs to Change by Michael V. Franchell, Mel E. Ross, Harvey Price has been published by the Urban Planning and Economic Development News Magazine out of Colorado. It appears on pages 23 through 25. The July issue of Urban Planning and Economic Development News Magazine is now online. Change in credit card rules? You might have heard about MasterCard and Visa agreeing to pay more than $6 billion to settle accusations that they engaged in anticompetitive practices in payment processing. The tricky side effect, though, is that, assuming a judge approves the settlement, merchants can now "charge higher prices to consumers who decide to pay for their purchases with credit cards...Until now, the card companies banned merchants from adding such a surcharge, although gas stations and other retailers sometimes offered a discount for customers who paid in cash." Frank Keating, the president of the American Bankers Association said: "Let’s be clear — retailers, not consumers, benefit from today’s resolution." And it apparently didn't hurt MasterCard and Visa. On the stock exchange Friday, "Visa rose 2.3 percent to $126.91 in extended trading in New York. MasterCard advanced 2.9 percent to $442." "Defendants in the case include Bank of America Corp., Citigroup Inc., Wells Fargo & Co., Capital One Financial Corp., Barclays Plc and HSBC Holdings Plc." Not incidentally, "those rule changes wouldn’t take effect in states where laws specifically prohibit credit-card surcharges, said Douglas Kantor, a lawyer for the National Association of Convenience Stores." On the map of states with such laws, according to NBC News, were California, Texas, New York, and Florida, the most populous states in the union. Tuesday, July 17 from 2:30pm to 4:00pm Eastern time -learn about FDIC and SBA’s newly-released Money Smart for Small Business. They will discuss this new curriculum in detail and how it can be utilized to serve entrepreneurs and aspiring business owners in your community. If you are interested in delivering Money Smart for Small Business training and becoming a member of the Training Alliance, this session is for you! Please join the webcast on Tuesday, July 17 from 2:30pm to 4:00pm Eastern time. This event is free, but advance registration is required. The last day to register is TODAY, July 13 at 5pm EDT. Register online for this event. ZIP Code Business Patterns data are available shortly after the release of County Business Patterns. It provides the number of establishments by employment-size classes by detailed industry in the U.S. These two programs cover most of the country's economic activity based on establishments. It's great to have a plan. Even better to charge out and begin to execute the plan. But, to keep your plan alive day in and day out, you've got to have a routine that holds everyone accountable for all things big and small. I can almost hear some collective groaning coming from my readers, but trust me on this. If you do this right, you'll wonder how you ever succeeded without it. You may find that more gets done in terms of actual work and real team building in a month using this system than at any time in your business. New statistics showing the industrial specialization and diversification of U.S. businesses are now available from the Census Bureau's Enterprise Statistics Program. In developing a complete series of reports to be published with the 2012 Economic Census results, Census Bureau researchers have created an Enterprise Classification System and prototype tables based on the 2007 Business Register. The statistics provide a new perspective for the analysis of enterprises, businesses and their establishments under common ownership or control. From starting and growing a business to managing operations day-to-day, one thing is certain in business – dealing with laws and regulations. Whether you are hiring your first employee, formalizing your business structure, or applying for a license, you’ll encounter a hairball of ever-changing federal, state and local rules and regulations. To help business owners unravel the hairball and get answers, SBA.gov offers a variety of helpful tools and resources. Do you know how much privacy your employees are entitled to? For example, if you feel employees are abusing their work privileges, is it legal to intercept emails or phone conversations to find out what they’re up to and confirm your suspicions? Can you ask potential job candidates for their Facebook profile log-on information? Here are some general guidelines that can help. Do you know your business credit score? Do you rely on your personal credit score for business transactions? Taking steps to separate your personal and business finances is a smart strategy. Here are tips to help you implement a strategy to build good credit in your company’s name. Benefits.gov can help you identify grants, loans, financial aid, and other benefits from the U.S. government for which you may be eligible and tell you how and where to apply. When looking for financial assistance, remember that there are differences between grants and loans. You are required to pay back a loan, often with interest. You are not required to pay back a grant, but there are very few grants available to individuals. Most grants are awarded to universities, researchers, cities, states, counties, and non-profit organizations. You can search for these type of grants on Grants.gov.